Composed by Christopher Ferreira. Contemporary Classical, Post-Romantic, Minimalism, Neo-Classical, Movies. 6 pages. Published by Christopher Ferreira (S0.156093). 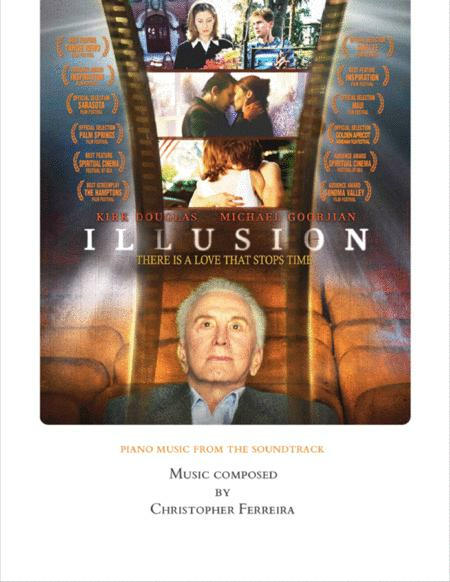 This book contains two solo piano works composed by Christopher Ferreira for the film Illusion starring Kirk Douglas and Michael Goorjian. Thank you for supporting this music. It is my hope that you enjoy the playing of these pieces as much as I enjoyed the discovery of writing them. -Christopher.